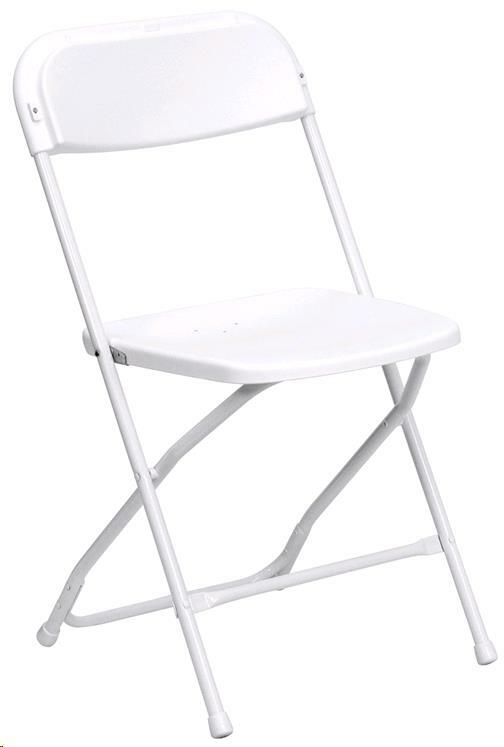 White plastic folding chair with 300 lb. weight capacity designed for indoor and outdoor Use. Textured polypropylene, white plastic contoured seat and back with open back design 18-Gauge white powder coated steel frame with double support rails and non-marring floor caps. ** Please call us for any questions on our chair white folding f rentals in Fairview Heights IL.